The girls’ under-18 League final between Warrington Wolves and Olympia Cannock takes place at Powerleague Trafford on Saturday. Cannock are unbeaten in the competition, winning all their games bar one, when they drew against Wolves. Wolves, meanwhile, have beaten Hackney GD, Peninsula and Olympia in their last three outings. The game promises to be full of goals with Cannock’s Athalia Ibanga, Olivia Gonsalves, and Wolves’ Molly Clark and Brooke Partington all featuring in the top goalscorers charts. The goalkeepers will also have a big bearing on the game. 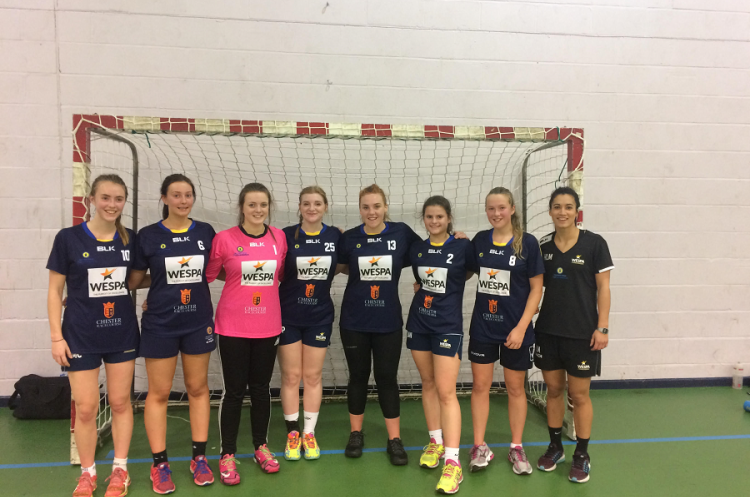 Cannock’s goalie Meg Johnson has played senior handball in Super-7 for NEM Hawks, while Warrington’s Jemma Brocklehurst was recently selected for GB juniors. Throw-off is at 10.30.